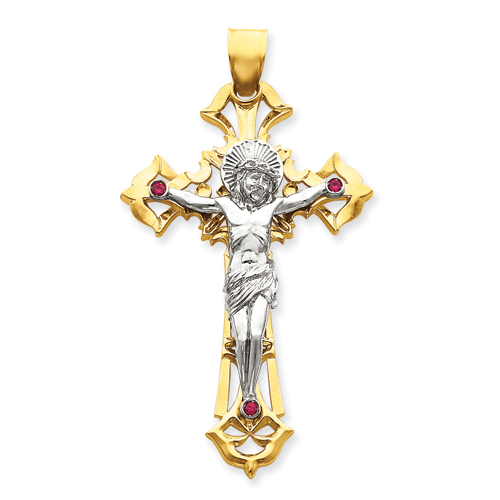 This very large 14k two-tone gold crucifix pendant is decorated with red cubic zirconia accents. Item measures 2 5/16 inches wide by 3 3/4 inches tall without bail. Weight: 30.95 grams. Made in USA.